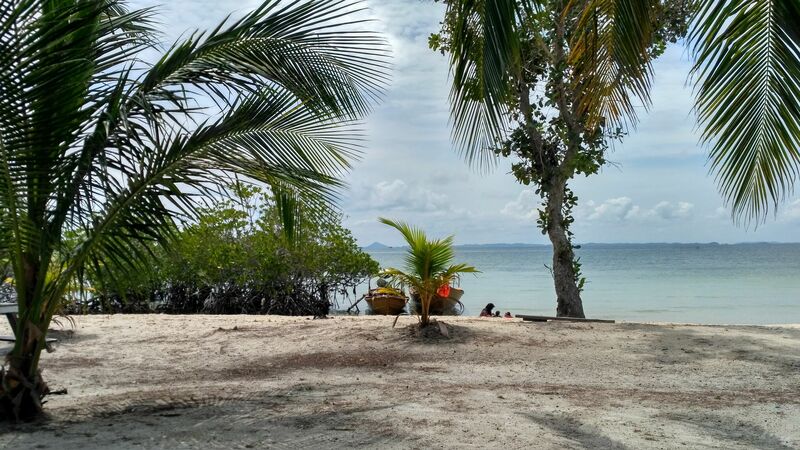 Pulau Dedap, Dedap island in English, is one of beautiful island in Batam islands. Why did I say beautiful? It is because this island is very beauty and nice. Why? 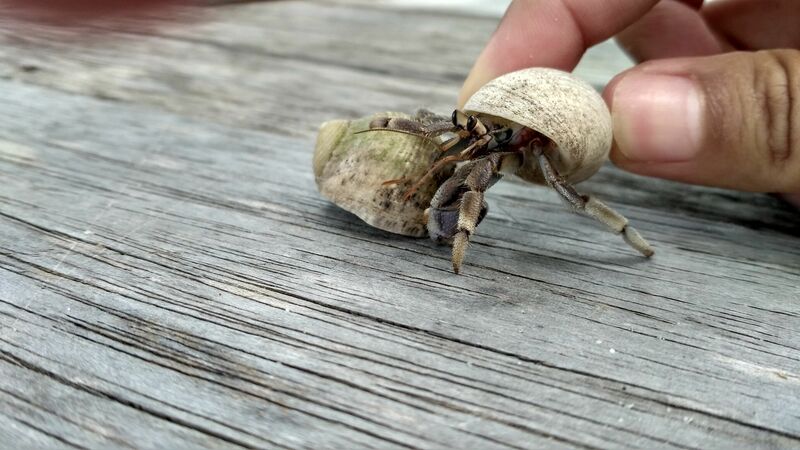 With white sands, fresh, clean, and blue gradation of the sea water, and there are a lot of Umang -Umang (hermit crab) on this island. I am falling I love with this island; I do know why but I am very happy to visit this island. There are some facilities; a wooden house, some toilets and bathrooms, some benches, and island guard. They clean this island and collect some visitor trash. 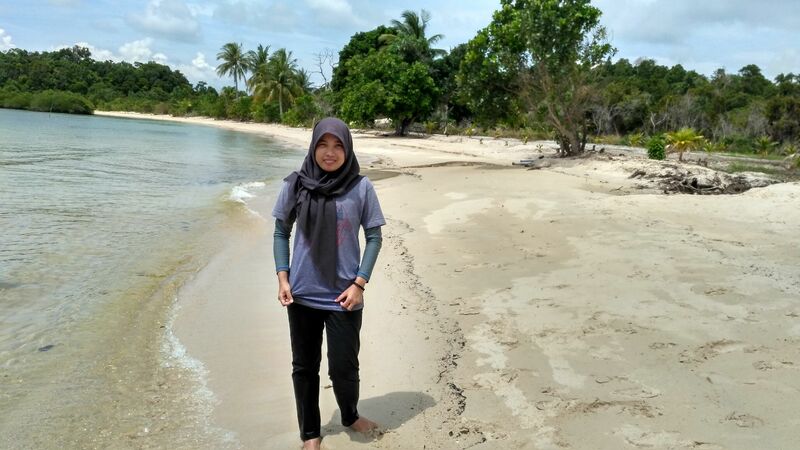 I think, I will come back to this island someday and this island will be more beautiful with some complete and valuable facilities. This island seemed to being develop. I hope until that day, this island always stay beauty and natural. Without any disturbing and damage. 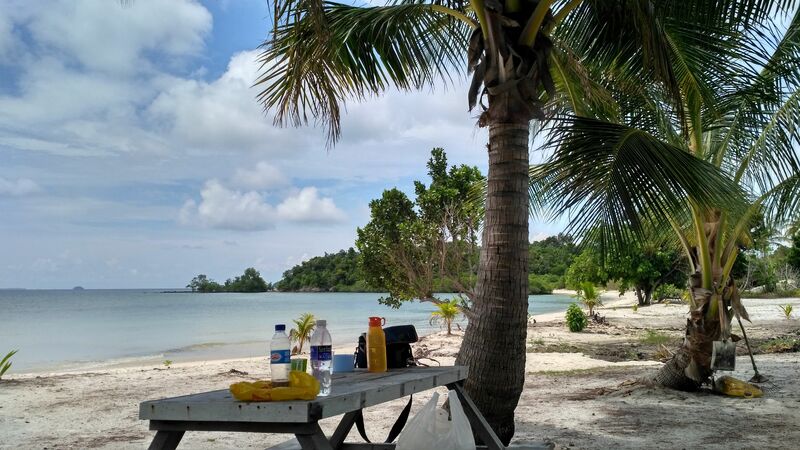 We ate our lunch in this island, we sat on wooden bench under the coconut trees while seeing sea scenery. It is so fun and fresh. After that we walked on white sand and got into the fresh and clean sea waters. Really amazing and suitable for family picnic. Especially for children, the shore looks like a crystal clear swimming pool. Wow, amazing place!